Moscow court blocks access to Telegram in Russia | Russian Legal Information Agency (RAPSI). MOSCOW, April 13 (RAPSI, Nikita Shiryayev) – The Tagansky District Court of Moscow has blocked access to Telegram messenger for the whole Russia, RAPSI correspondent reports from the courtroom. The court tasked Russian media watchdog with “putting a stop to sending and receiving messages” in Telegram until the messenger fulfills its obligations by providing deciphering keys. The decision came into force immediately and Telegram is expected to be blocked today. In July, Durov received the FSB requests to provide information for decoding messages of six app users. In September, law enforcement authorities drew up administrative protocols against Telegram because of law violation, as Durov failed to reply for the request. The Meshchansky District Court of Moscow has fined the company 800,000 rubles ($14,000) for refusal to provide FSB with information on message decoding concerning several users. The messenger insists that it is technically impossible to transfer encryption keys. Telegram has been found guilty of failure to store and (or) furnish information on users and their messages to law enforcement agencies. The ruling has become effective. In December, Telegram Messenger LLP filed a lawsuit with the Supreme Court of Russia seeking to cancel the Federal Security Service’s (FSB) decree establishing the procedure for provision of information on decoding of user data. On March 19, the lawsuit was dismissed. Telegram was obliged to comply with the FSB order within 15 days. The company filed an appeal with the European Court of Human Rights (ECHR) against the fine, lawyer Damir Gainutdinov told RAPSI on March 22. 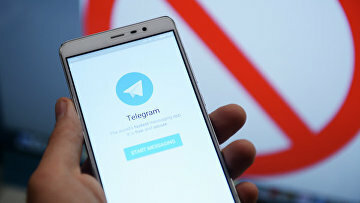 In early April, the Presidential Council for Human Rights called Roskomnadzor to refrain from blocking Telegram messenger in Russia and asked FSB to find other ways of legal access to the messages of users endangering the national security.